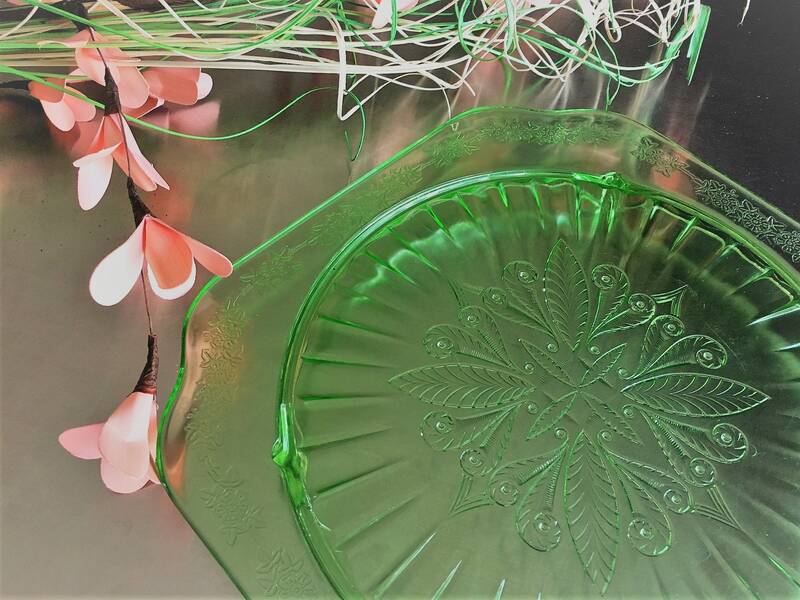 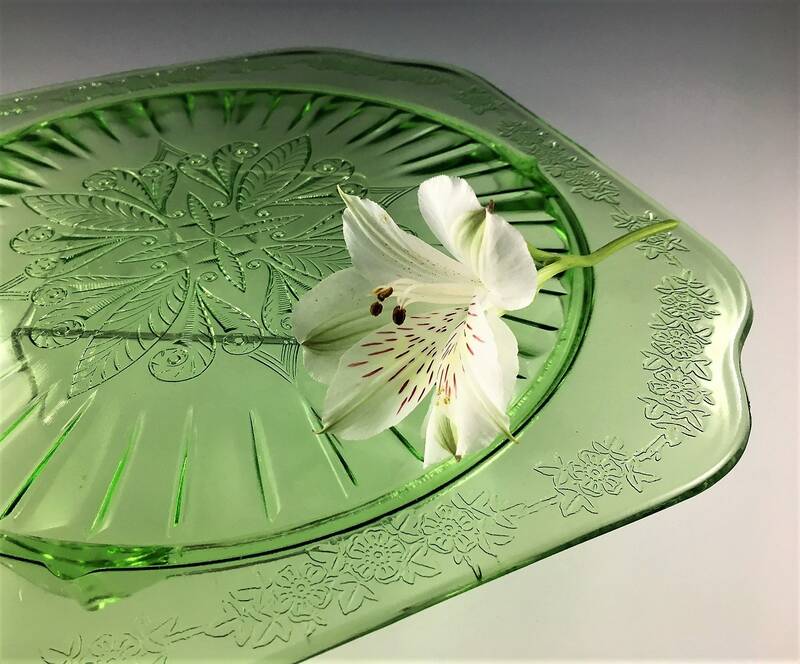 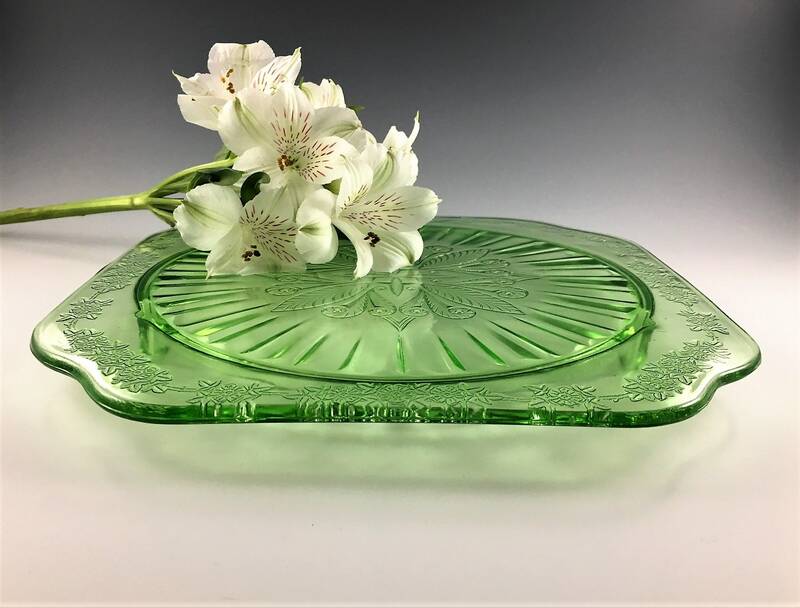 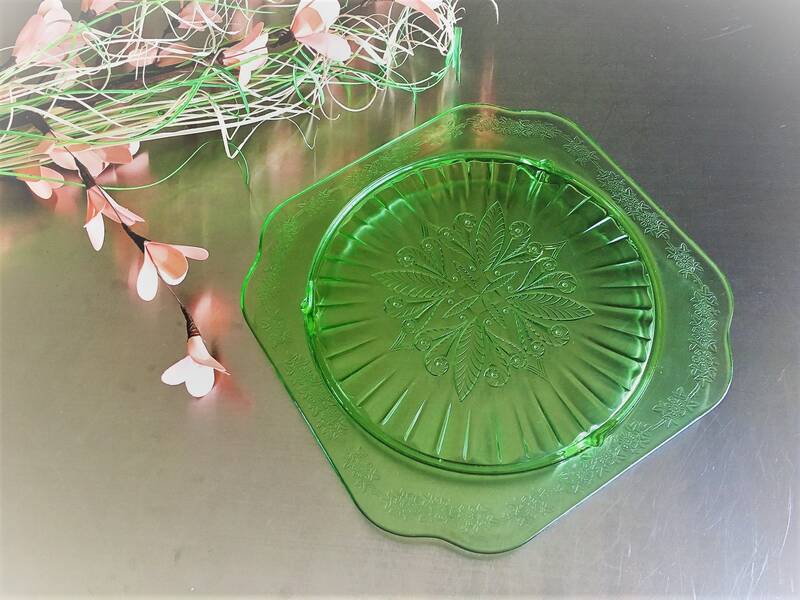 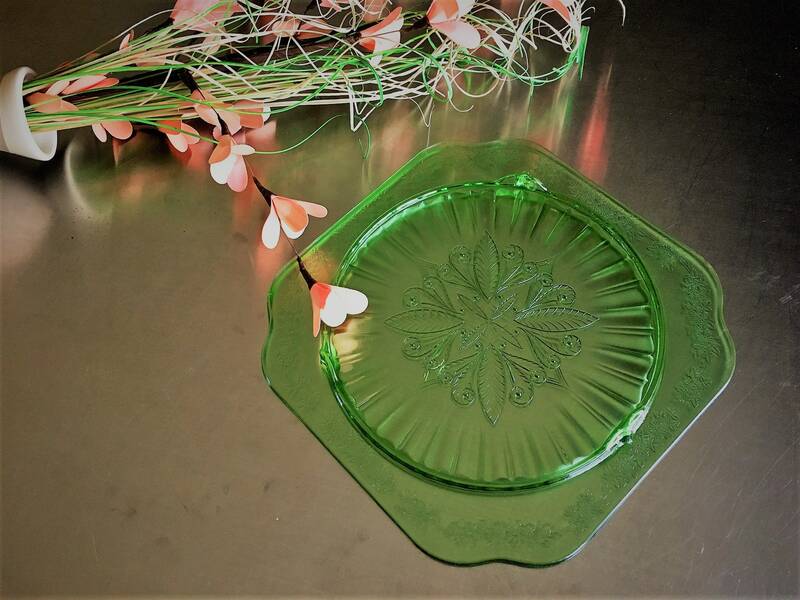 Featured here is a beautiful square piece of depression glass from Jeannette. 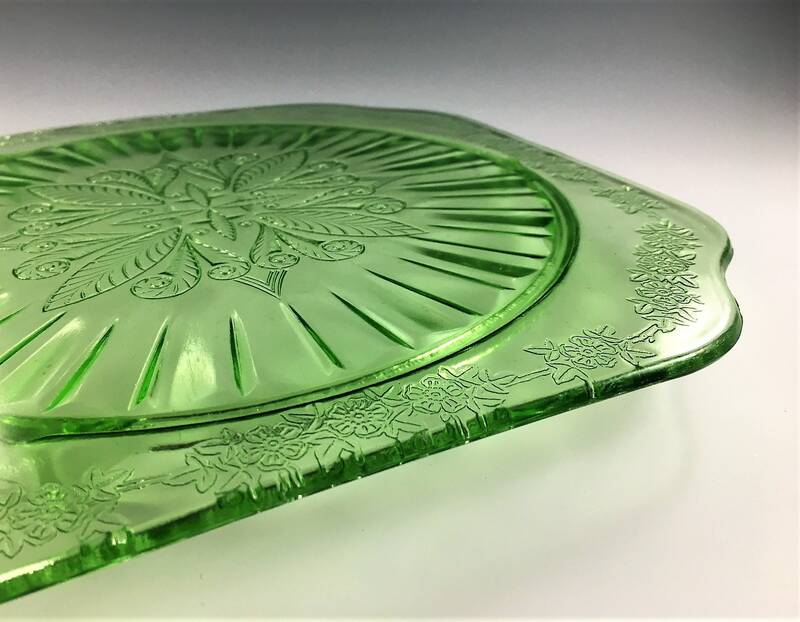 This dish is part of the Adam Green pattern and is their Footed Cake Plate (CCAF). 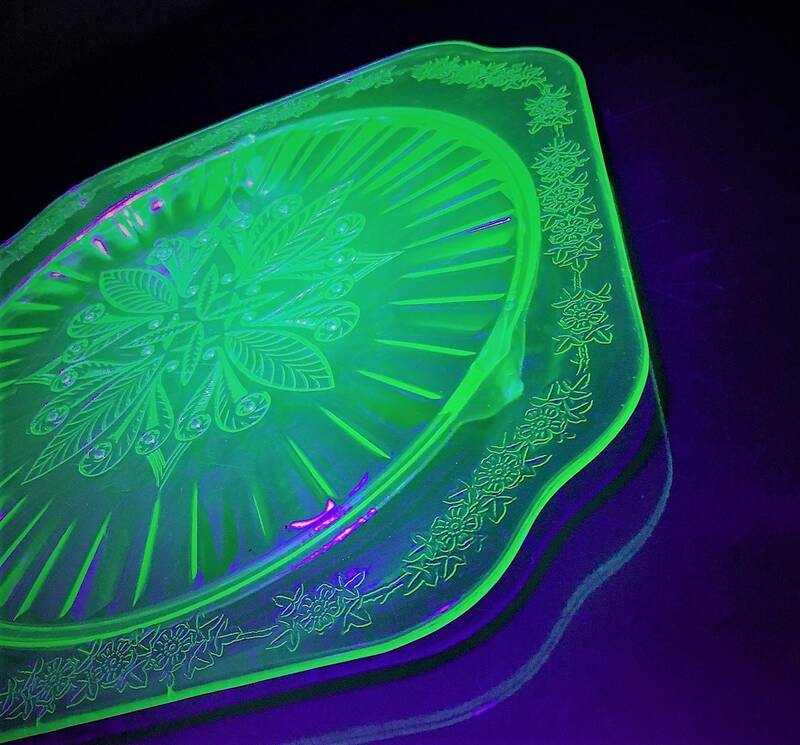 This pattern was produced from 1932-34, and it makes me wonder how it survived over 85 years, It measures 9 7/8 inches across and stands on three feet which raises it to about an inch high. 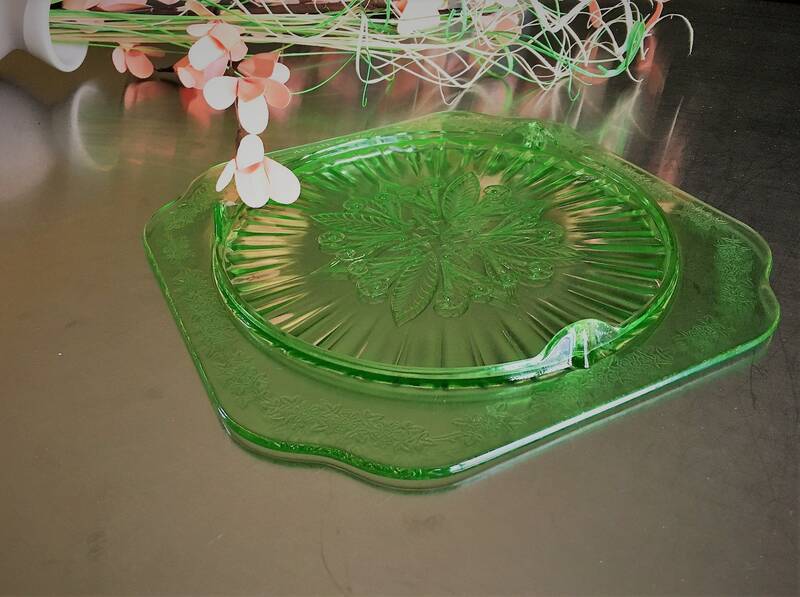 This cake plate is in excellent vintage condition, free from any chips or cracks. 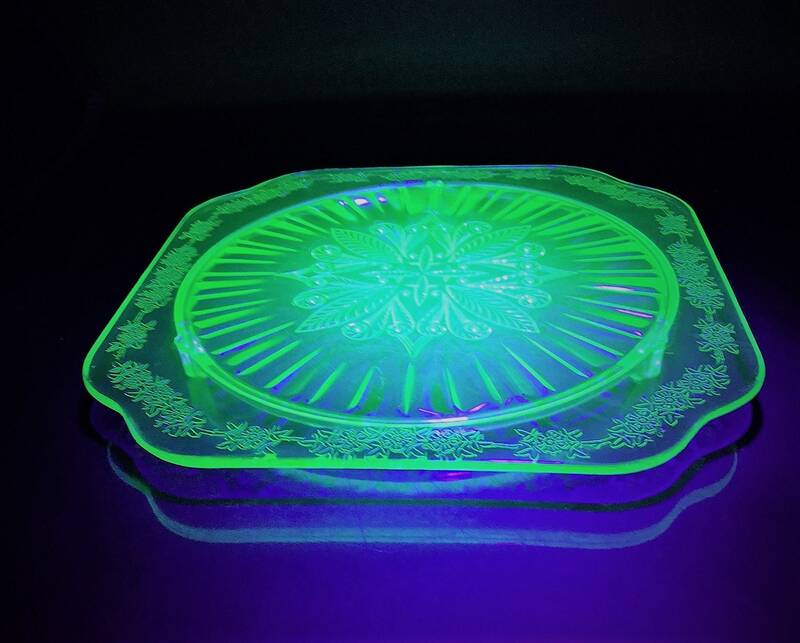 And, it's uranium glass so it glows oh-so-cool under UV light (see photos).